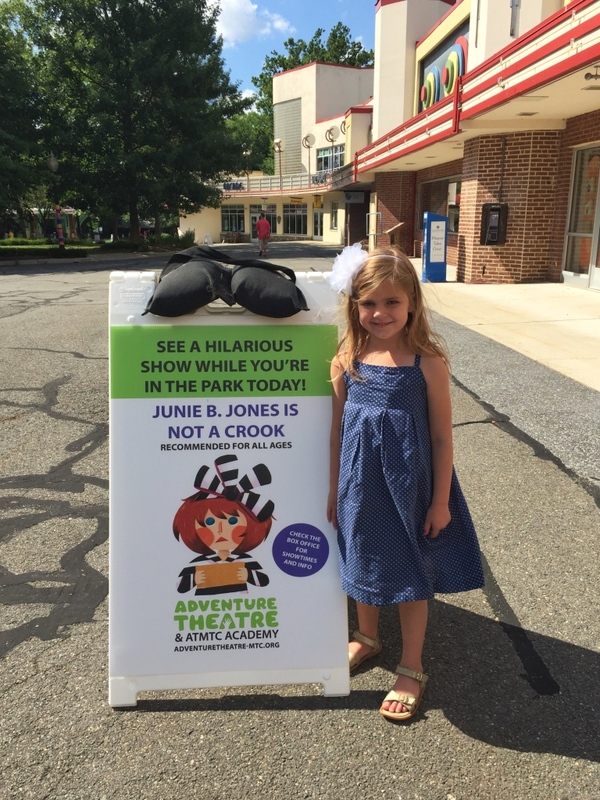 Junie B. Jones is Not A Crook is now showing at Adventure Theatre in Glen Echo Park. This is one that you should not miss this summer. It is so entertaining and hilarious! I’ve been taking my daughters to shows at Adventure Theatre for a few years and this is definitely our favorite yet. We are even planning to go see it a second time! 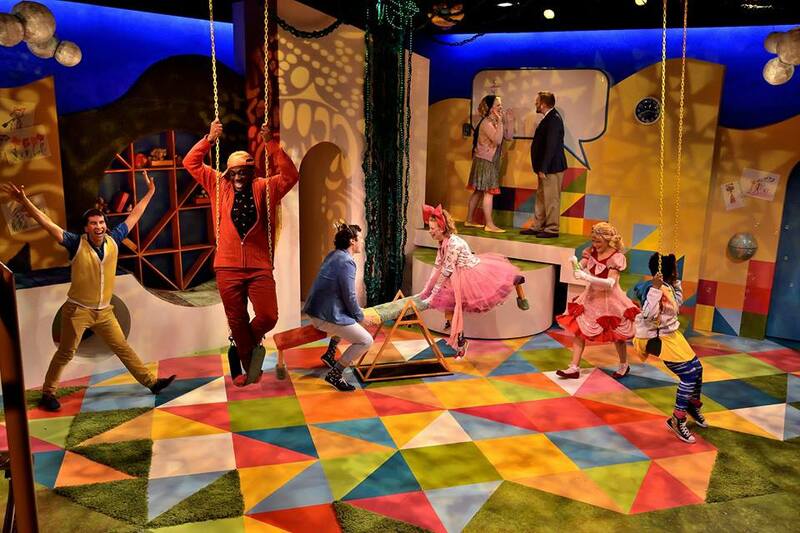 The cast of Junie B. Jones is Not a Crook. Photo by Bruce Douglas. The show is based on the popular book series by Barbara Park and is directed by Rick Hammerly. “When Junie B. Jones, with her two bestest friends in the world, loses her new furry mittens to some “stealers,” she has to investigate. But Junie B. might have something she forgot to return, too.” Is it “Finders Keepers”? The performance takes the audience along as Junie explores this question. The show is recommended for all ages and runs about 80 minutes with no intermission. From beginning to end, the energy is high and my daughter and I were both laughing throughout. There are a couple of cute musical numbers when you just can’t help but start singing along! 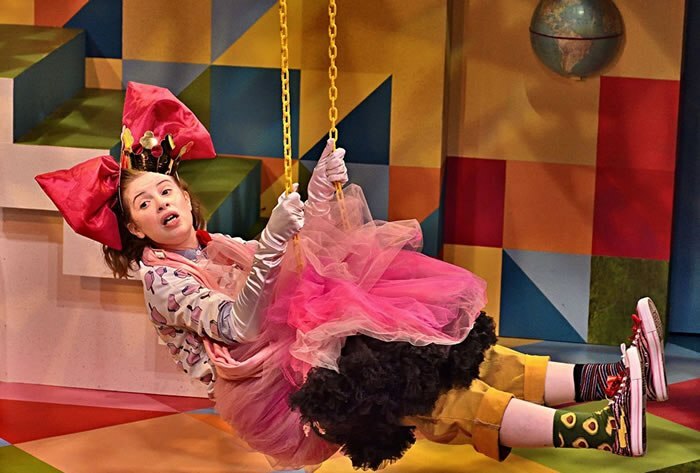 Megan Gravies as Junie B in Junie B Jones is Not a Crook. Photo by Michael Horan. We were “wowed” the moment we walked into the theatre and saw the bright and beautifully designed set. A few of the supporting cast members were out welcoming guests while swinging on the swings and hanging from the monkey bars. There are lots of objects hidden in the rafters of the ceiling, so it was fun to play a game of “eye spy” before the show started. The costumes were equally impressive! And of course the acting was brilliant too! Go see this show! (Buy tickets here.) 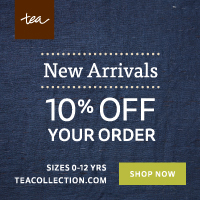 It’s the perfect summer outing with your kids. Make a day of it and ride the Dentzel Carousel while you are at Glen Echo. There is also a little cafe where you can grab lunch or a snack and a playground too.